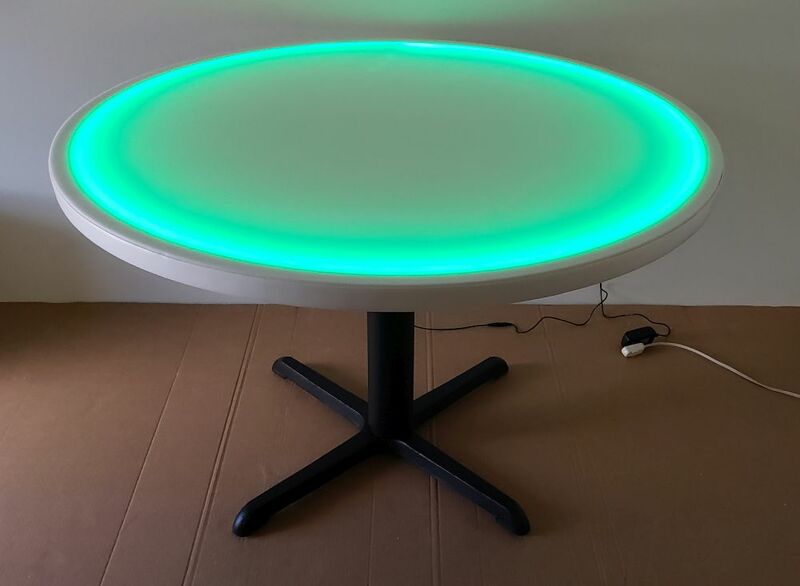 Banquet Tables Pro® 48" round glow tables can seat 6 people comfortably. This item features a black cast iron X style permanent base. Great for nightclubs, sushi restaurants , or any other permanent environment where glow furniture is used. We also manufacture a portable version of this size as well.